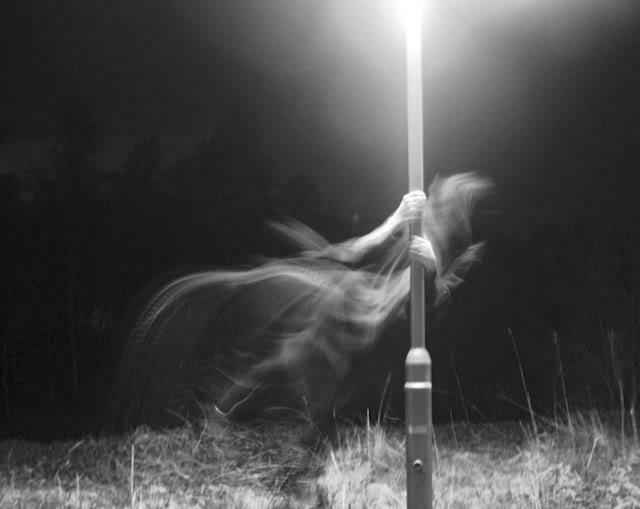 Ghosts are so far the scariest things for we mortals, it is just because we’re not sure of their existence, nor their shape of presence, if it gets dark, then it gets wilder. Now, with the advent of modern technology, we got our hands on devices like CCTV cameras, despite the security clauses there are a number of situations when some spooky stuff hits our nerves, and that’s all, that really bites our senses. With vintage hospitals, houses at the corner of the streets atop, schools are nowhere less scary compared to the formers. Out of so many, this is one such video which has given chills to the viewers across the Internet. 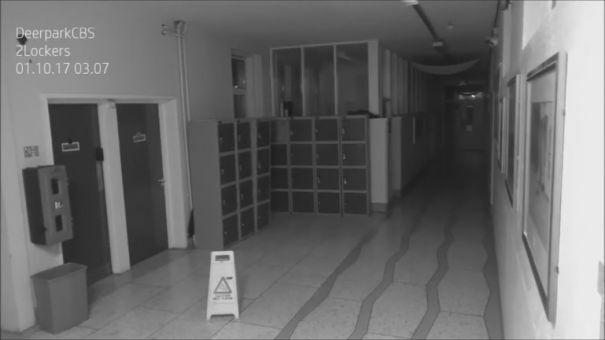 The video is recorded at an Ireland’s school. Right from the day one, this CCTV footage is going viral, drawing attention from the netizens. In this spooky video, one can see heavy closets shaking and banging against the wall, but no one is seen in the clip! Starting with a huge banging of a door and some flickering of lights as if someone entered the room. Then after a few seconds, the ‘ghostly’ activity starts. And things get really mysterious when a locker door suddenly opens by itself, scattering books kept inside onto the floor. Now, just as you assume that it is time to cool down, it gets wilder as someone whom we cannot see kicks the wet sign placed nearby the closets. Coming to the details, Deerpark CBS in Cork, one of the oldest buildings in Ireland and often regarded as a haunted place. This place is already believed as one of the most haunted places in Ireland. 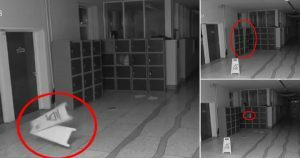 Related Article: Two Friends Play Ghost Prank On Their 3rd Friend! What Happens Next Is ‘Horrifying’!